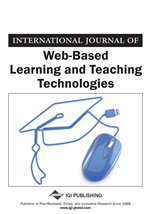 In this paper, the author focuses on learner perceptions of the characteristics of learning technology as explanatory variables for acceptance behavior. The author presents an empirical study examining the effects of these perceptions on two outcomes: uptake of an e-learning technology and effectiveness of such technologies that results in the intention to continue to use. The effectiveness of e-learning programs are dependent on the fulfillment of the leaner expectations in terms of the suitability of the learning to the present task, applicability of the learning, and the right incentives and measures to encourage and motivate employees. Technological advances are dramatically altering the training and development landscape in India. Although the adoption of online learning programs by Indian organizations has been significant in recent years, the capabilities and efficacy of such programs have yet to be fully investigated. Most effort in this area has been devoted to program development while examinations of online program quality and effectiveness have been merely implied. With little empirical knowledge about Internet-based learning outcomes, the need for research in this area is not only timely, but also imperative. In this study, we adopt the cognitive perspective of e-learning and the word e-learning has been used synonymously with e-training. E-learning is the use of information and communication technologies to deliver information and instruction to learners as part of planned efforts to increase knowledge and skill. Organizations are choosing e-learning as a mode of imparting learning so as to increase learner convenience, reduce cost of delivery of learning, track and monitor learning needs of employees and customize learning programs for them. E-learning appeals to organizations that have a strong need to deliver consistent training across multiple locations. While the potential advantages of e-learning make it appealing, organizations embarking on e-learning implementations must keep in mind that successful implementation requires significant planning and effort. E-learning initiatives can require considerable investment in both information technology (IT) and staff. Specific costs include development costs to design and build the actual courses as well as hardware and software costs to allow users to access the training. According to the Technology Acceptance Model (TAM) by Davis, Bagozzi, & Warshaw (1989), employee attitudes toward computers must be investigated since the intention of computer use and actual use are influenced by such attitudes. Employees have various backgrounds, computer skills, beliefs, and interests and such differences cause different perceptions toward e-learning and its effectiveness (Hiltz, 1994). Factors such as age, gender, personality, and computer experience have proven to be determinants of computer attitudes (e.g., Hunt & Bohlin, 1993; Miller & Varma, 1994; Raub, 1981; Reece & Gable, 1982; Taylor & Todd, 1995; Sanchez et al., 2006). Previous researches have suggested and proved that the effectiveness of e-learning programs is dependent upon three sets of antecedent factors: Technology factors (Parasuraman, 2000; Masie, 2001; Brown, 2001, 2002); Psychological factors (Henning, 2003; Martin et al., 2003); Organizational factors (Guest, 1998; Herriot et al., 1998; Martin et al., 1998; Capelli, 1998; Martin & Beaumont, 2003). The technology factors include: whether the employees have access to the requisite infrastructure? Are they trained to use technology? Is the training design to their satisfaction? The psychological factors include: whether the employees are motivated enough to undergo e-learning? Are they confident of their technology skills? Does e-learning fit their personal learning style? The Organizational factors include: Does the organization value learning and knowledge acquisition? Is their learning applicable in real work life situations? Does the culture in the organization encourage personal enhancement and self development?